Last weekend I was invited to host a Needle Felting Workshop for a group of friends as part of a birthday celebration. 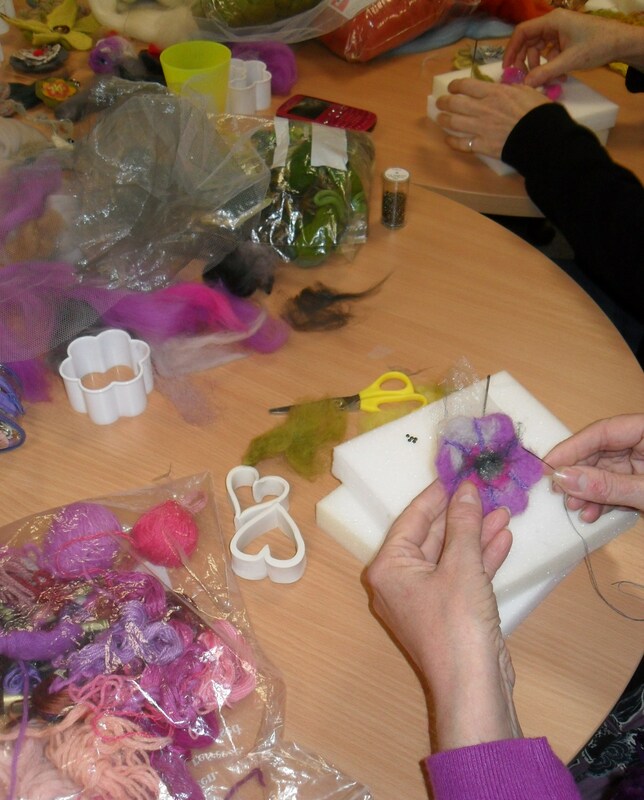 Its a great idea for a group activity which is fun, creative and results in everyone learning a new skill. 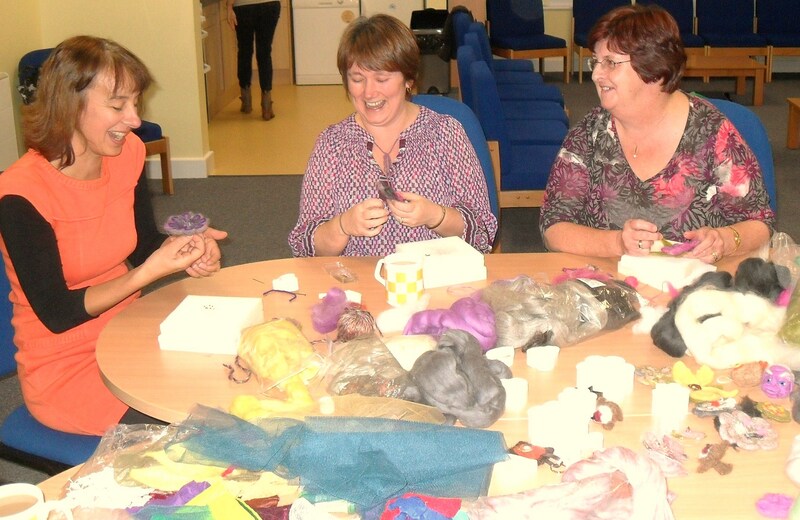 The ladies were shown how to felt using Merino wool and were supplied with lots of other materials and threads to use as embellishments. Non of the group had tried this before but at the end of the session everyone took away a beautiful, unique hand made brooch of their own design. I hope you all enjoyed the afternoon and look forward to seeing some of you ladies again at future workshops.